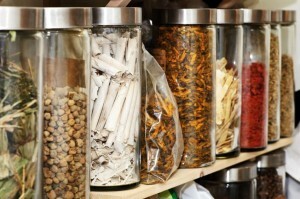 If necessary, Shawn may prescribe the use of Chinese Herbal formula specific to your condition. • These are elegant combinations of herbs designed to address your symptoms as well as the cause of disease. • One or more formula may be necessary. • Available in pill, tablet, powder, syrup, or soup form. Some medicines may be applied topically. While these formula have been developed over thousands of years, using empirical research to guide their refinement toward ultimate effectiveness, at times Shawn may have to amend yours to fit your body’s unique pattern.